Complex wine made from fruit grown in cooler climate vineyards. In the USA, Walla Walla Valley AVA is fast approaching premier status as a red wine producing region. The highest accolades are coming from Merlots and Syrahs, but the area produces well-made Bordeaux Blends too. From a critic’s perspective, this area is a serious alternative to the Napa Valley region… especially, if you prefer the Napa wines produced before the mid 90’s. Now, there is a choice between two premium “red” producing cities in the U.S. The over-arching theme in Walla Walla is the pursuit of Old World styles of Cabernet Sauvignon, Merlot and Syrah. If you enjoy the popular New World style of heavily-oaked, fruity Cabs coming from Napa (like Caymus and Silver Oak) very few of these Walla Walla wines will find their way into your cellar. Syrah aside, I have chosen three of the oldest producers in Walla Walla as effective examples of the diverse styles of Bordeaux Blends that represent this growing region: Walla Walla Vintners, Seven Hills Winery and L’Ecole #41. I visited all three last month and was fortunate enough to do a deep-dive with each. The flavor profile across all releases at Walla Walla Vintners (WWV) had the most dissimilar flavor profile in the area. I met with Bill Von Metzger the winemaker and we discussed the winery founded in 1995 in depth. Their vineyards (and immediate neighboring sites) located at the Eastern edge of the valley contain the only dry-farmed vineyards I was able to find in this AVA. They originally prepared these estate vineyards for irrigation, but have yet to experience a growing season requiring the additional water. Although, if the Washington drought continues, they expect this may change next year. The WWV 2015 vintage validated once again the impact of dry-farming on my palate. All wines tasted tended to be more concentrated and textured, perhaps squeezing more out of the terroir. Bill is a locally educated and trained winemaker. In my experience, this can be an impediment to good winemaking. Exposure to a broad sampling of world winemaking styles tends to develop better winemakers. Although in this case, Bill transcends his background… I think, primarily due to his keen curiosity and desire to experiment. I thought Bill showed a deft hand at pursuing the Napa Valley style… at half the price. Of my twenty (or so) tasting appointments in the area, this was the only winery embracing the challenge and successfully producing this style in a cooler Walla Walla climate. If you enjoy Napa Cabs, try these wines. They may not quite reach the level of the premium Napa producers, but my goodness, not at $75+/btl either. The quality is good and the value is undeniable. 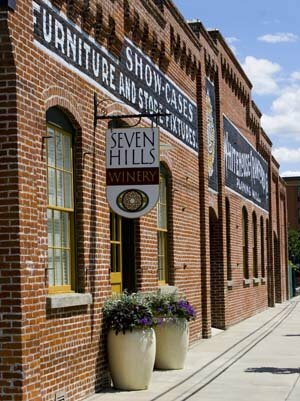 Seven Hills is the preeminent Old World French Bordeaux style producer in Walla Walla and one of the first wineries founded in the area in 1988. I met with Erik McLaughlin, an executive and manager at the winery. Erik and I discussed the history of wine growing in the region, their philosophy and the resulting growth. 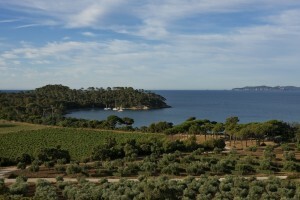 Seven Hills produces wines that compare very favorably to Bordeaux labels. All their wines have a lighter, sometimes silky texture with a good acidic and tannic backbone. Refined, balanced and built for aging, but approachable enough when young to be an excellent companion to a steak dinner. The tasting room is in a very urban setting at the winery, with the atmosphere from the 100+ year old building enhancing the tasting experience. I talked briefly to Casey McLellan the winemaker and founder and I heard from both of them their total commitment to this wine style, regardless of the popularity of New World style California wines over the last decade. A great story and I believe a good business decision. These wines are some of the best of what I call “restaurant style” wines, made to accompany food and at the right price to be fairly affordable after the three tier distribution system delivers it. If you enjoy red wines originating in Bordeaux France, try these wines. Again, these do not quite reach the level of premium Bordeaux producers, but comparable quality is sold at half the price (or less) of their Old World competitors. L’Ecole is the most notable example of a winery in the region that best walks the fence between New & Old World styles. Founded in 1983 in an abandoned school house, they have grown substantially into a large commercial winery. I have been drinking their wines since the early 2000’s and do miss the hometown, small business atmosphere from those early days. Is it OK to be nostalgic for the old building facade, before the face lift? Then again, I also preferred the previous cute label too. Yes, (begrudgingly) I understand the idea – “Time and Tide stops for no man”. I met with Ben Dimitri the tasting room manager and we talked about L’Ecole history and past vintages. It was interesting to discuss the story of the 2004 vintage in Walla Walla. It was the coldest growing season in memory for the area and few local vineyards were able to produce ripe fruit at harvest. 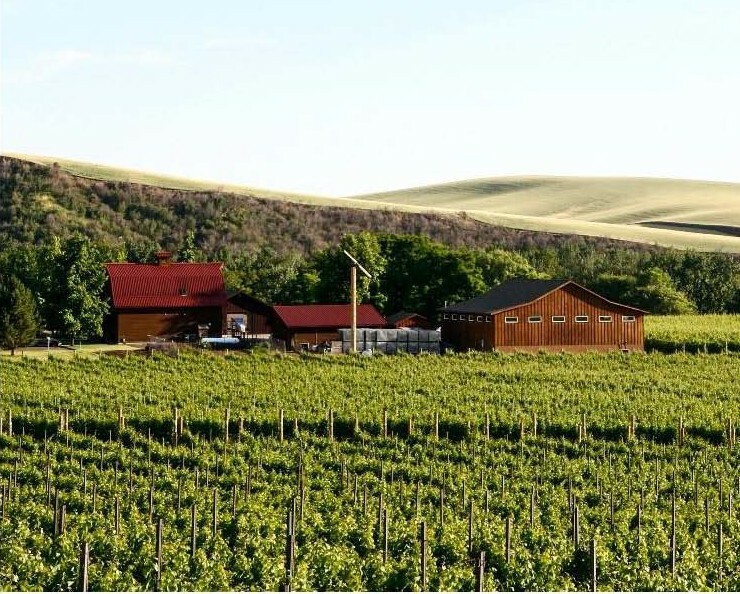 10+ years ago, Washington State was still a fledgling wine region and the largest producer in the state (Chateau St. Michelle) offered the early Walla Walla producers the opportunity to source fruit from their warmer Columbia Valley vineyard locations. What a generous and smart move… missing a vintage in those early years would have seriously hurt the local industry and slowed their momentum in the market. The topic arose, because I mentioned enjoying a bottle of 2004 Ferguson (lost in my cellar somehow) last year. The bottle handled the 10 years of age well, but was at the outside edge of its drinking window. If you enjoy red wines originating in Bordeaux France, but would prefer an easier drinking more approachable style… L’Ecole is your ticket. Once again, think half the price. If you notice, there are two common themes here: diversity and value. Try these Walla Walla wines. If you are more than an occasional, casual wine drinker in particular, seek them out. These can easily become your choice for the value section of your cellar. This area has a long way to go as a wine destination, but it was significantly more welcoming than my last visit seven years ago. Premier sous chefs around the country looking to venture out and start a premium cuisine restaurant, please consider Walla Walla. A well-run, properly promoted gourmet restaurant will succeed here, without the competition you would find in other top wine regions. Currently, the food is only slightly better than average, even at expensive establishments. With all the fresh fruit and veggies grown locally, this would be a perfect location for a farm-to-table concept. Producing world-class wines right in their backyard, Walla Walla has to be the next wine destination to hit the foodie scene. I look forward to my next visit and enjoying a much more vibrant restaurant scene. 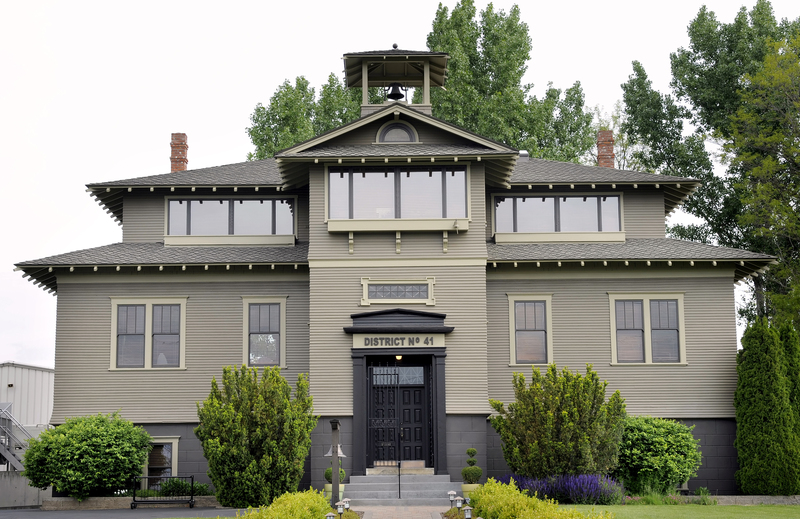 Leonetti Cellars and Woodward Canyon Winery are the two oldest wineries in the Walla Walla AVA. I have tasted their wines and they are excellent, but priced to match, or exceed their Bordeaux and Napa competitors. These wines are every bit as good, but I find it hard to see the value. Frankly, I would rather drink the established producers I know from Bordeaux and Napa, with much larger production and greater availability. This post was meant to highlight the value in Walla Walla. These producers do not fit into that category. As I dive deeper into this, the rabbit hole takes me deeper and deeper… I must apologize again. Location is too big a topic to include a discussion of soil types in the same piece… So, it appears I will have a part 2a, 2b and 2c in this series on “Why Wines Taste Different”. For those of you staying with me on this, thanks for your patience and perseverance. There are many more varietals in each category, but these are frequently seen in single varietal formats and are the most common. Notice that Chardonnay, Sauvignon Blanc, Merlot and Syrah are listed as both. These four are the most versatile wine varietals in the world. They can make quality wines in both warm and cool climates, but keep in mind the flavors and textures are totally different when grown in the different locations. 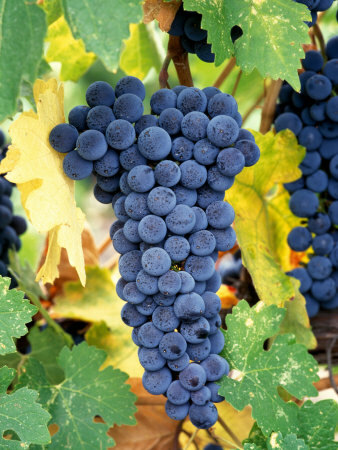 Warm climate Merlot has less acidity/tannins and can be beautifully soft, or horribly flabby. Warm climate Chardonnay usually has less acidity and tends towards simple citrus flavors. Most warm climate Sauv Blanc tastes like fresh mown grass mixed with lemonade to me, but others enjoy it. Warm climate Syrah is another story… warm climate locations are better when moderated by a Mediterranean climate, but these areas can produce killer wines. Cool Climate locations can produce exceptionally complex Syrah, but sometimes are a little weak on fruit flavors, so are often mixed with Viognier to enhance approachability. I enjoy these wines tremendously. For example, try the top of Spring Mountain AVA and Howell Mountain AVA in Napa Valley. You will find bold wines with a pleasant blend of acidity, tannins and alcohol there. In the hands of an expert winemaker, these vineyards can produce a wonderful, fully developed mid-palate. Haven’t heard the terms “attack”, “mid-palate”, or “finish”? Drop me a line and I will write a piece explaining these wine characteristics! These sites stress the vines and drain them very effectively. The berries are usually smaller and the fruit (and resulting wines) always have more intense flavors. These vineyards are everywhere, just keep an eye out. The opposite holds true, be careful with wines made from valley floor fruit. If not managed carefully, these vineyards can become bulk wine territory! 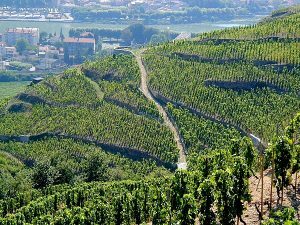 The most extreme examples lie in the Mosel Region in Germany. Remember those Cool Climate varietals… if there is enough sunshine to fully ripen the berries at these sites, WATCH OUT! These wines are amazingly good. These vineyards can produce complex, fruit forward wines with high acidity. Watch your vintages with these producers. In cooler years, these wines can be very rustic, and/or thin. U.S. Examples: Santa Rita / Santa Maria AVA, or Russian River AVA. Often, cold winter climates can support vineyards in these areas. The lakes moderate the low temps at night during bud-break and harvest (Spring & Fall). Depending on the amount of sun, these vineyards can produce fresh, brisk white wines, or a well-balanced lighter style of red wine. U.S. 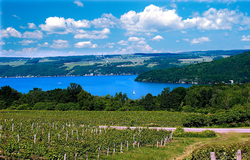 Examples: Lake County AVA or Finger Lakes AVA. 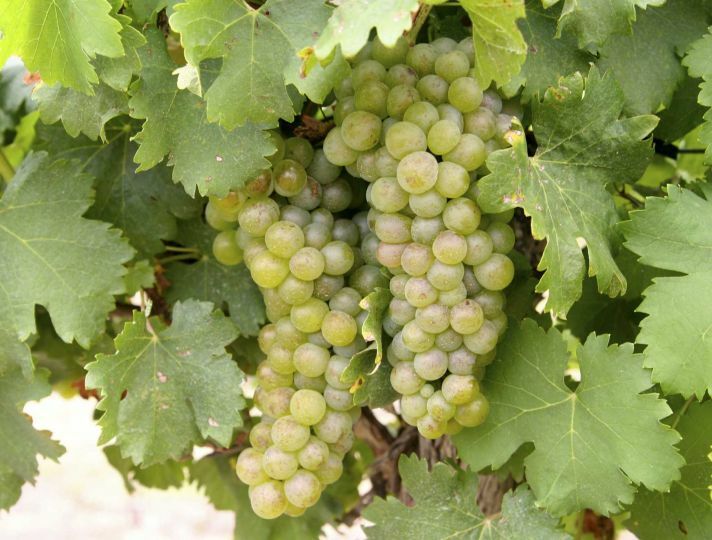 These sites can produce excellent, or horrible fruit from vineyard to vineyard. The best sites don’t get a lot of rain and are watered by the dew and fog. In addition, higher elevation sites adjacent to the coastline are an advantage. The elevation offers more time above the morning foggy conditions to ripen the fruit and destroy the potential mildew. These vineyards will not produce easy drinking wines, but if you like complex flavors (sometimes unusual) and good structure, try a few of these and find out if they are for you. U.S. Examples – Sonoma Coast AVA. Valley floor locations almost always produce easier drinking softer wines, especially when located in warmer climates. These are not my kind of wines, but I recognize that many consumers enjoy this style. Each to their own, but at least with this information, you can understand what influences how these wines taste. If you are willing to evaluate your preferences and find the vineyard locations that match your palate for each varietal, it will enrich your wine experience (find my preferences below). Continuing the two part series, well… I realized this topic was just too much for one additional piece. Don’t forget, I am no industry expert. This piece is only offered from the perspective of the impact on enjoyment of wine flavors and structure. Folks, I have tasted a LOT of wine. Over the years, you ask questions, and you learn which factors affect the wine and how. Now I am sharing that experience with you. Climate is closely related to the idea of “terroir”. I put the term in quotes, because it is a concept more than a word. Terroir impacts both flavors and structure in wine (for example: blackberry and acidity). Here is the Webster Dictionary definition: “The combination of factors including soil, climate, and sunlight that gives wine grapes their distinctive character”. Close, but there is more to it than just that. Some additional ideas would be: proximity to bodies of water (i.e. lake, ocean), heavy winds, or fog during the growing season and the most important – local wine growing traditional practices. 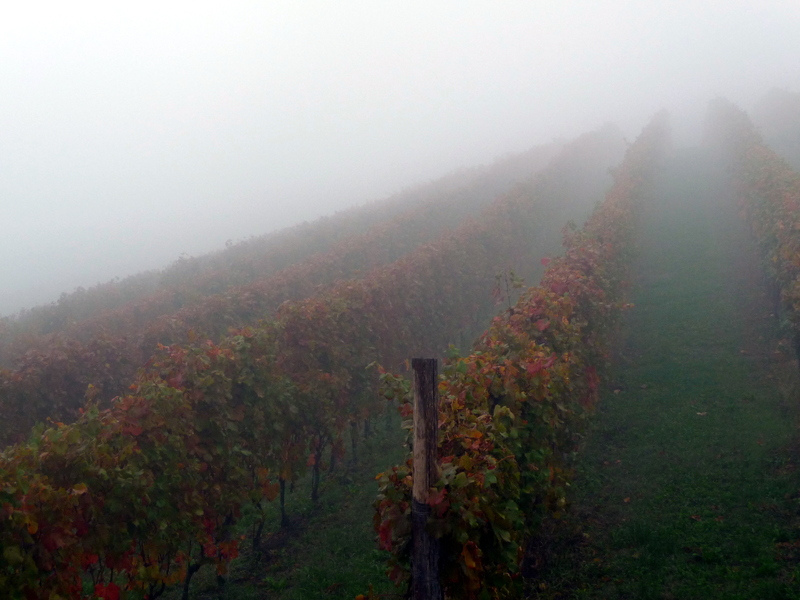 Foggy mornings can add a considerable amount of acidity to the fruit and ultimately the wine. Heavy winds have a more basic function – the wind keeps the berries dry, so thinner skinned varieties (Pinot Noir, Merlot) can be grown in humid climates, without mildew and rot. Trellis design – Overhead trellising (called Pergola and common in Italy) makes it impossible to practice canopy management. This can lead to inconsistent vintages from varying weather conditions. Without canopy management, it is difficult to control producing burnt vs. under-ripe fruit from year to year. Italy has been slowly converting their premium vineyards to head-trained trellis and pruning systems for this reason. Yield per acre – Some regions can produce 8 tons of fruit per acre, or more. This is bulk wine territory. You can taste the difference when fruit is pruned from the vines early and the yield is reduced to 2-3 tons per acre, commonly found in the premium wine category. This always develops more concentrated and complex flavors. Ask a winery about the yield per acre for their fruit source. They should be able to tell you immediately. It is a VERY important decision and will separate quality wines from bulk wine. Your dividing line is at about 4 tons per acre. 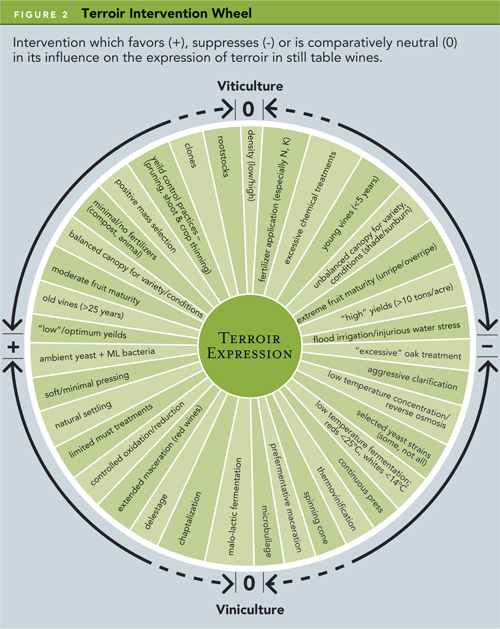 Terroir can also be a philosophy of sorts. Have you ever considered wine to be a unique indicator of “place”? Wine can and does reflect local cuisine and culture. In many of the Old World wine growing regions, wine is viewed as a definitive indicator for the location where it is made. That is why they have actual government laws regarding how wine must be made in many regions. In this way, Wines from St. Estephe AOC, or Sancerre AOC all have a consistent character. Before my Somm training, I would have told you this was completely crazy. In the U.S., we don’t think of wine in this way, but still… when I drink a Napa Cab Sauv, it does take me back to past visits to Napa Valley. Where is the vineyard located, in a: Maritime (adjoining ocean), Continental (inland), or Mediterranean (moderate temps & ocean influence) Climate? If you add soil type, these are THE most important factors in vineyard influence on the wine. So, how does this affect the way we experience the wine? Let’s start with climate. The primary impact of climate is on the varietal selection planted. As an example, varietals grown in the Loire are completely different than those grown in Bordeaux and those choices have an obvious impact on flavors in wine from the two regions. Within the same varietal wine, the climate difference impacts structure: Acidity, Tannins, Alcohol, Complexity (especially mid-palate) and Balance. This is the part of the discussion that becomes more variable and interesting. In Northern Latitudes, these locations can be cool with fog, but winter temps stay moderate. 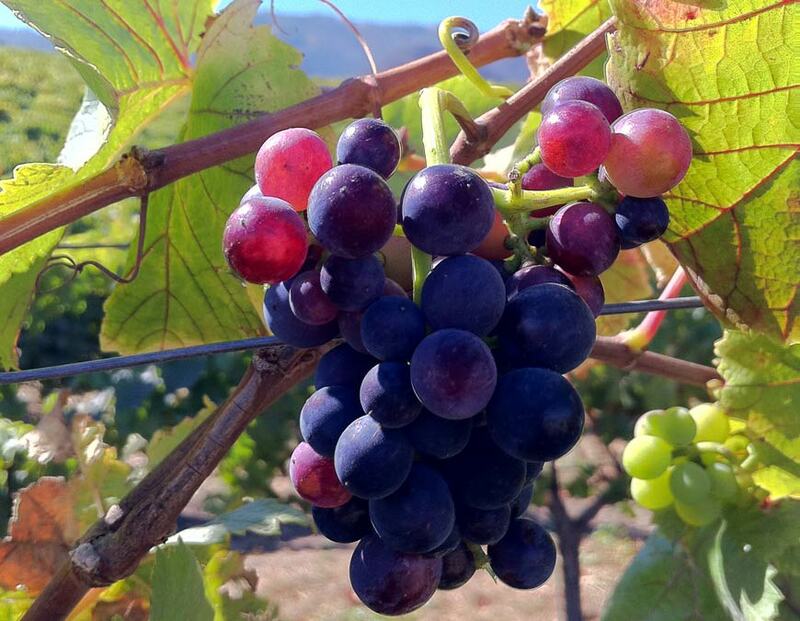 If the growers can get the grapes fully ripe, watch out – fantastic wine results. Think acidity here. Wonderful climate for growing cool climate red varietals (if the soil is right) like Pinot Noir, Cab Franc and Syrah. 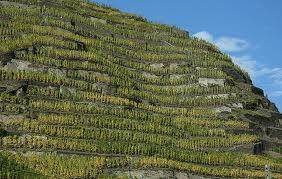 This type of climate can also produce interesting cool climate style whites, like Chardonnay, Albarino and Pinot Gris. Think U.S. Sonoma Coast, or Spanish Rias Baixas. In Southern Lattitudes, the hot days and cool nights make killer warm climate reds, like Cab Sauv, or Grenache. Think French Provence, or Italian Tuscan Coast. These inland locations do not have the moderating affect of the ocean, so these regions cannot extend too far north, or south for that matter. Wine grapes have very specific climatic needs. A very interesting and different example is the California Clear Lake AVA – an inland location, but at higher elevation with a large adjacent lake. This AVA is starting to produce structured wines and as the local industry comes to understand the vineyard sites better, the wines form this area will continue to improve. The varying Continental climates can produce a wide array of varietals. Burgundy, France is the classic premium appellation. In the U.S., it might be Walla Walla Valley AVA. These wine growing locations tend to be in southern latitudes, inland along rivers within 50-150 miles (or so) of the coast. The best reds produced in these areas are usually from Syrah and Mourvedre grape varietals. In the whites category, the varietals to look for would be Viognier, Marsanne and Roussanne. These areas offer some of the most complex wines in the world. You often find wines from these areas with crazy flavors, like: olive tapenade, tar and mint. Sounds unpleasant… but try extending your budget when the opportunity arises and buy a nicely aged bottle of Cote Rotie. Be prepared to have your socks knocked off! The classic premium appellation might be the Rhone Region in France. 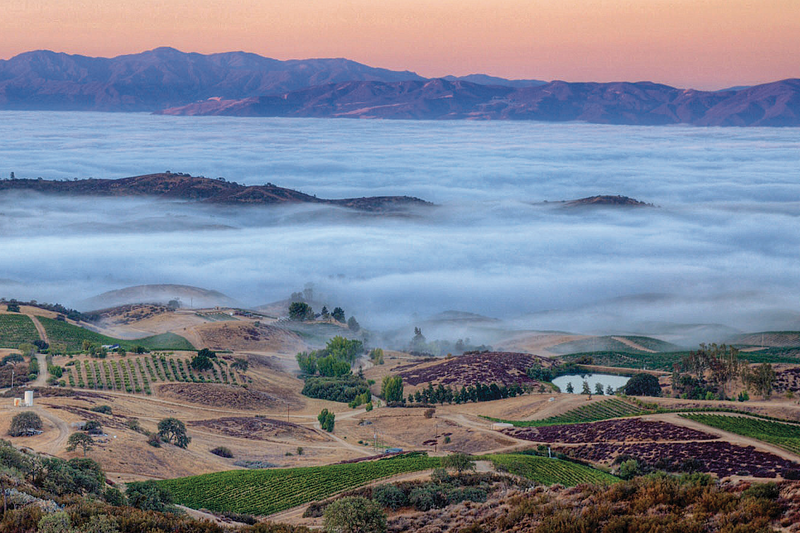 In the U.S., it would be San Luis Obispo County (Paso Robles AVA). If you haven’t noticed what these locations have in common, think hot days and cool nights. Grape vines need enough sunshine to ripen the fruit, but not too much heat… or else the wine tastes too flabby (try bottled grape juice). Cool nights add acidity, without which wines taste flat. It helps if Winter can be a little cold, so the vines can more effectively shut-down, go dormant and rest part of the year. Extremes within any of these factors makes for lousy wine, or dying vines. This has been a brief review of Climate and its impact on Wine. 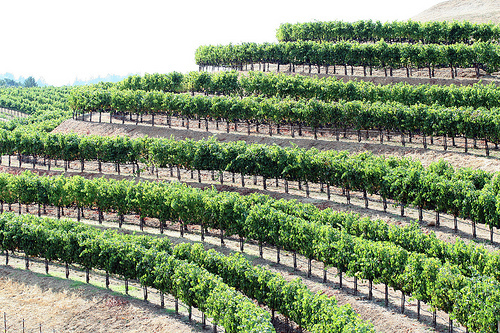 The next piece will cover our most favorite topic – DIRT and vineyard site selection. I hope this series is offering deeper insight into the factors that affect wine flavors and structure. In particular, if you are interested in Wine Travel, this is the information that will make the experience much richer! Initially, this was too hot and closed directly out of the bottle. After a one hour decant: blackberry and mint on the nose. The nose had a bit too much alcohol to enjoy. 11 years in the bottle and still plenty of structure with medium-high tannins and acidity. As you would expect, the freshness of the fruit is gone. 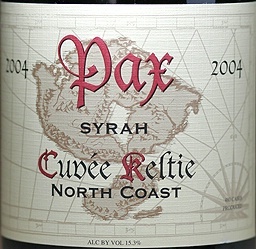 The palate is of blackberry, black currant and bitter dark chocolate with a short finish. The alcohol is evident, but not over-whelming. The big winner here is the mouth-feel. A beautiful Northern Rhone kind of character that starts a little oily and finishes with mouth-coating, grainy tannins that were a little to the rustic side of velvetty. This wine has the structure to sit in the cellar much longer, but the fruit will not last. Best drinking window is/was probably 2012-2016. I have seen other recent tasting notes that describes a fruit-forward wine with a sweet finish. This bottle was very dry and had a subdued fruit character. 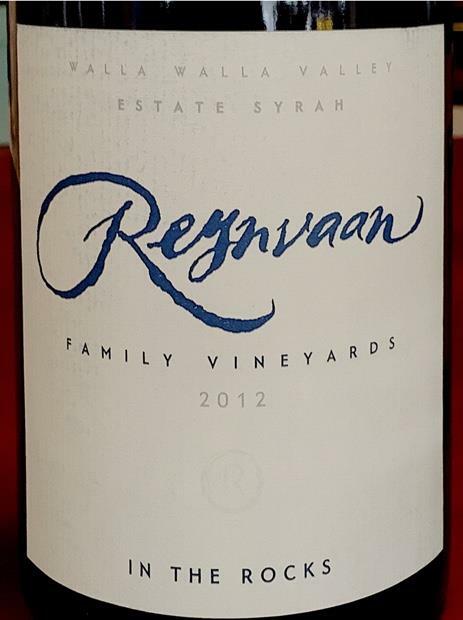 All-in-all a nice effort to produce an age-able, structured Syrah with a Rhone feel. This would have been a 95+ wine, if the alcohol component had been more balanced against the total profile.